DURABLE - Insert pans made from food-grade stainless steel. Secure-fitting stainless-steel lid traps in heat and moisture. Solid handle allows for safe and easy insertion and removal. VERSATILE - 2 tier stackable pans to cook variety of food simultaneously. 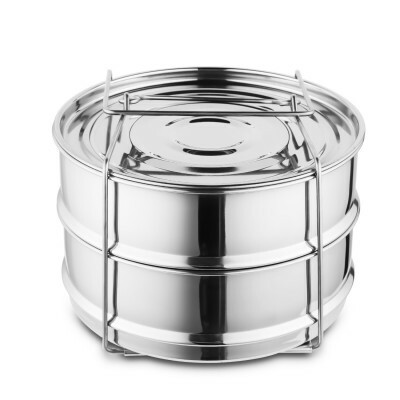 Great for steaming rice, vegetables, meat or fish. It can be used as a dessert pan to make cheesecakes or make lasagna. 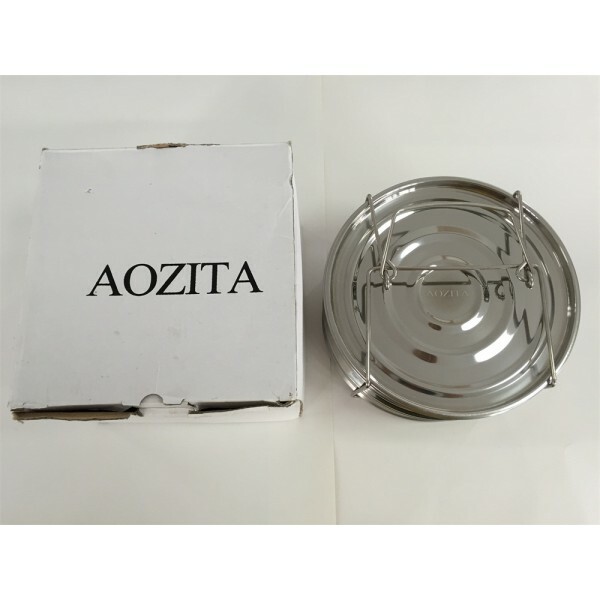 Multipurpose - This stainless steel cooker insert is a must have accessory any brand and type, size 5/6/8 quart stovetop pressure cooker or electric pressure cooker, Suitable for instant pot models IP-DUO50, IP-DUO60, IP-LUX60, IP-DUO80. CONVENIENCE - Skip the microwave ovens and reheat leftover food or curry in your cooker to preserve the nutrients and vitamins. Reheat multiple items at once and save time! GUARANTEED SATISFACTION - Dishwasher safe, easily to clean, One Year Guarantee, If you're not completely satisfied simply let us know and we will offer a prompt refund or replacement.